I love visiting Venice, Italy; Santa Maria Della Salute is a wonderful building which is located across the Grand Canal just opposite St Mark’s Plaza. 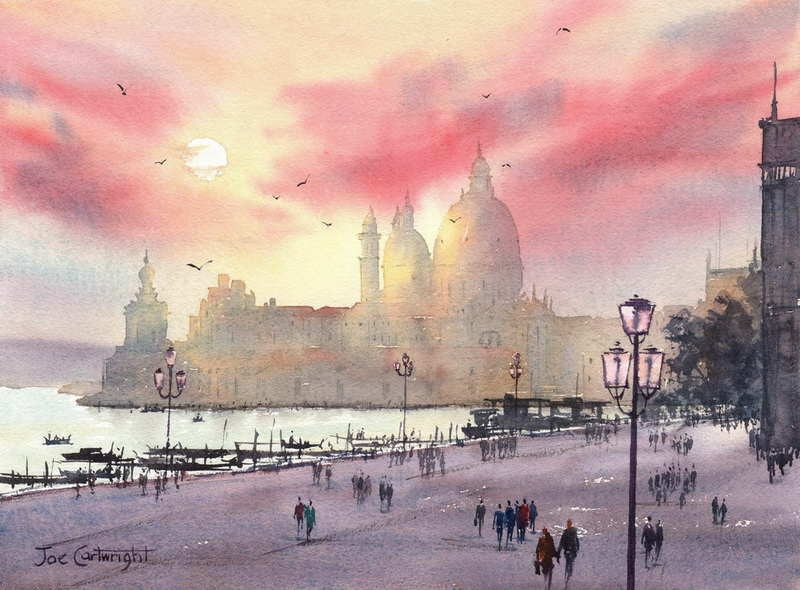 For this watercolor demonstration I will be changing the sky to a warm red Venice sunset and removing extraneous construction equipment to create a more interesting painting. This magestic Baroque building was built as thanksgiving for deliverance from the 1630 plague; Salute means “health”. The Building to the left of the Church is the customs house which was built in the 17th century. The reference image I am using was taken around September 2006, from a bridge very close to Saint Marks Plaza (San Marco). 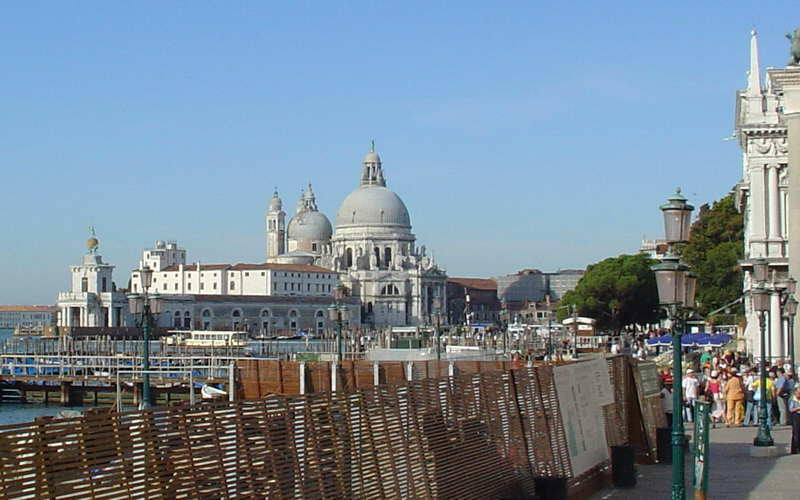 As you can see there was a lot of work going on in the Venetian foreshore, in fact whenever you visit Venice it is quite likely that at least one of it iconic buildings will have some scaffolding around it. So, as mentioned at the start, for the sake of good design I have removed the barricades in my painting and have also turned this scene into a dramatic sunset, which appeals more to my creative interest. Below is the completed watercolor painting we will be doing in this demonstration.